Because Azure is designed from the ground-up to allow automated provisioning, It provides a number of interesting opportunities for use. With a .NET language such as C#, it is possible to create a very flexible 'on-demand' infrastructure in Azure, using Azure Resource Manager templates, that allows users to economically deploy the resources they need just for the interval of time that they are required, and then destroy them. 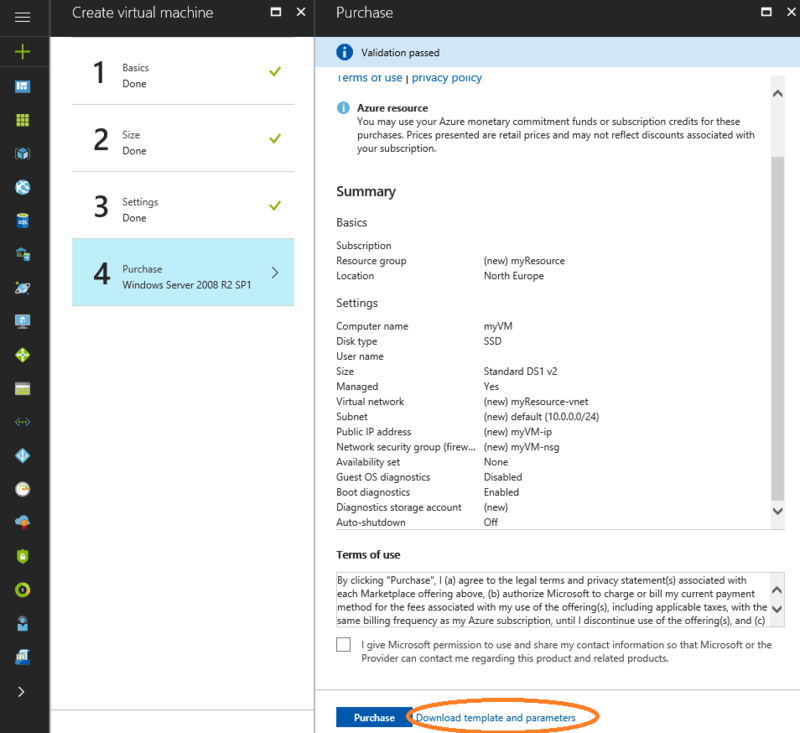 In this article I will show how to deploy a temporary Virtual Machine resource in Azure by using a C# console application and an ARM (Azure Resource Manager) template. After the resource is created, we will perform a simple task and then remove the resource. This is the first step on the way of creating a very flexible infrastructure in Azure, on demand. 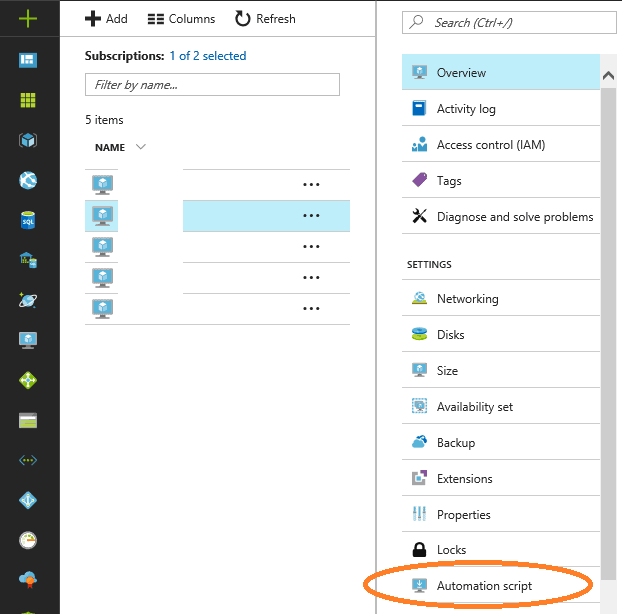 A useful aspect of Azure is that it allows the user to create scripts to automate any object in the Azure environment. 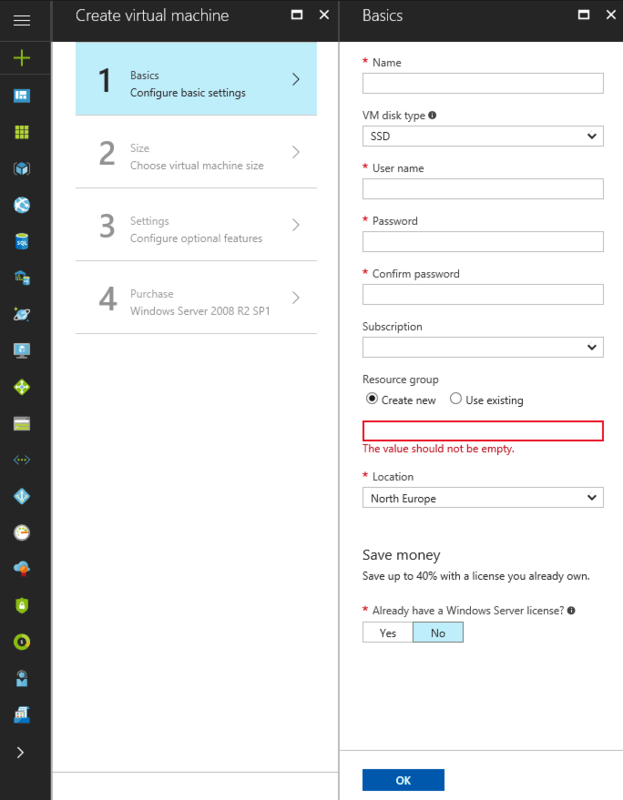 If ,for example, we have an existing Virtual Machine in Azure, we would be able to go to the portal and download the automation scripts to create the exact same resource at a later time. This is very valuable for such tasks as backups, reviews or transferring objects between subscriptions. The first two tabs, ‘Template’ and ‘Parameters’ are the actual JSON script files we will be working with. 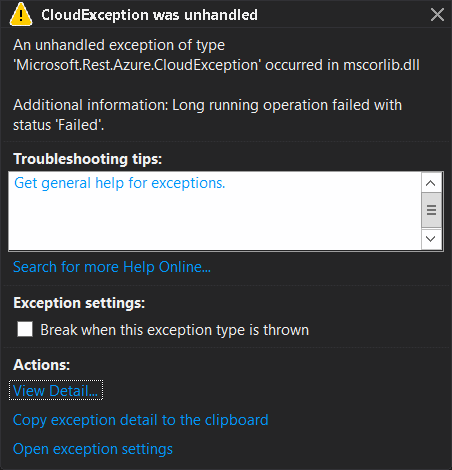 In Azure there is also the possibility to get the ‘Template’ and ‘Parameters’ JSON scripts for an object which is configured in the portal, but is not deployed yet. 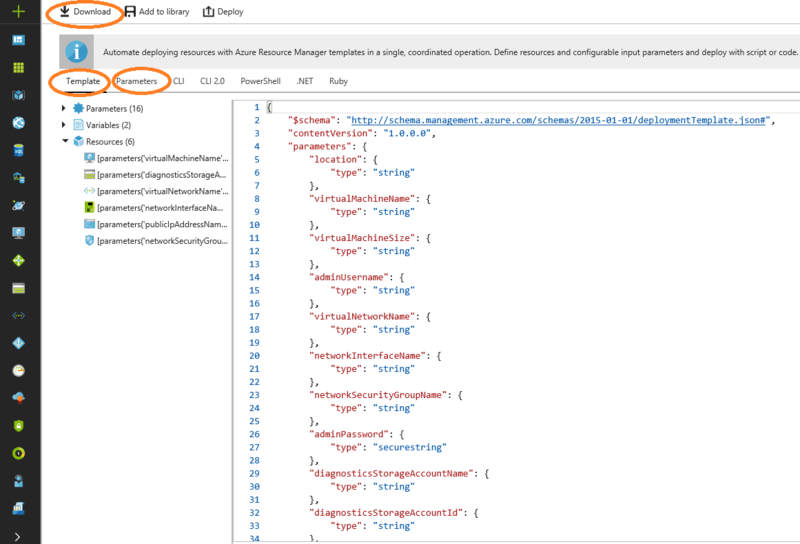 And this is a great shortcut for customizing the properties of an Azure resource via the portal UI, and then using the ‘Template’ and ‘Parameters’ files for an automated deployment at a later time, instead of composing the JSON code by hand. For this article, I will customize a small Virtual Machine and take the ‘Template’ and ‘Parameters’ files before deploying it. For the sake of brevity I will not follow the entire process of configuring the VM, since this is a very specific task to each user and the type of workload they will be automating. 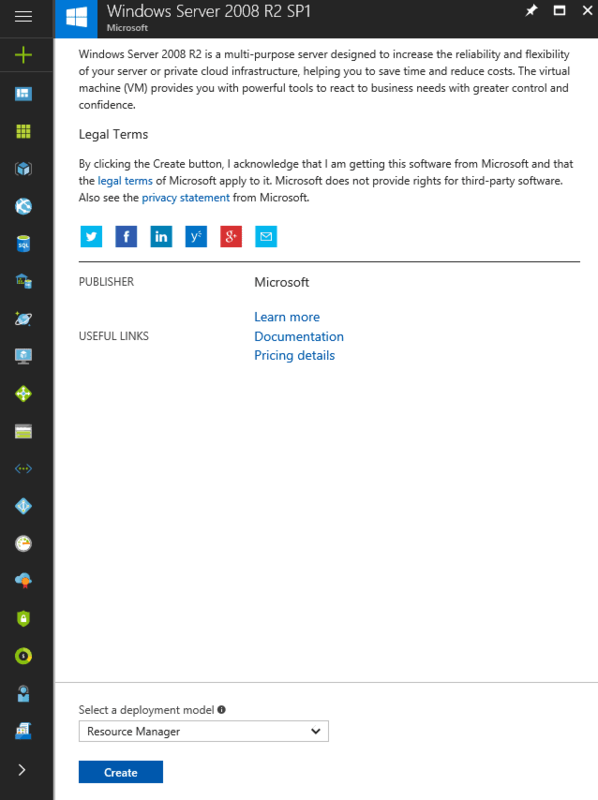 It is important, however, that the VM in this case is Windows based, and it is also important not to click on ‘Purchase’ in the last step, but to click on the ‘Download template and parameters’ link and download the templates for it. When we click on the ‘Download template and parameters’ link, we are presented with the opportunity to download the files. Click on the ‘Download’ button and a zipped file will be saved on your machine. The file contains all deployment options, but in this case we are interested in the JSON files. When we have the JSON files on our machine, we will upload those two files to a BLOB storage container. Again, for the brevity of this article, I will not go through each step it takes to create a BLOB storage account and a container, since most readers already have done this step. It is important to note the URL of the BLOB storage container for later use in our code, however. 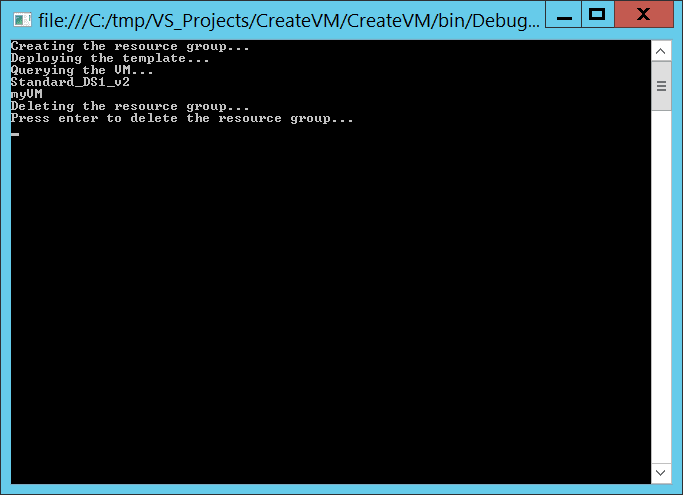 Of course, before deploying the VM again, we need to delete the resource group. This means that the machine is up and running, and it also means that we can get a handle of the properties and the resources of the VM from our code. In this article we explored the automation possibilities in Azure for using ARM templates and C#. Of course, this article only demonstrates the concepts of resource automation, since for the trivial activity of creating a Virtual Machine on-demand there is a Batch Service automation in Azure. 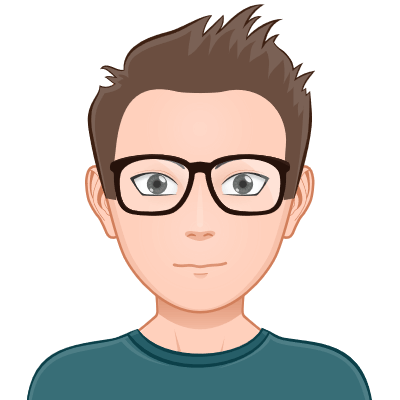 In the Batch Automation service we can bring up a pool of Virtual Machines behind the scenes and carry out a workload and then discard the resources. The concepts in this article are important, however, because not all types of resources and workloads are supported by Batch Service. 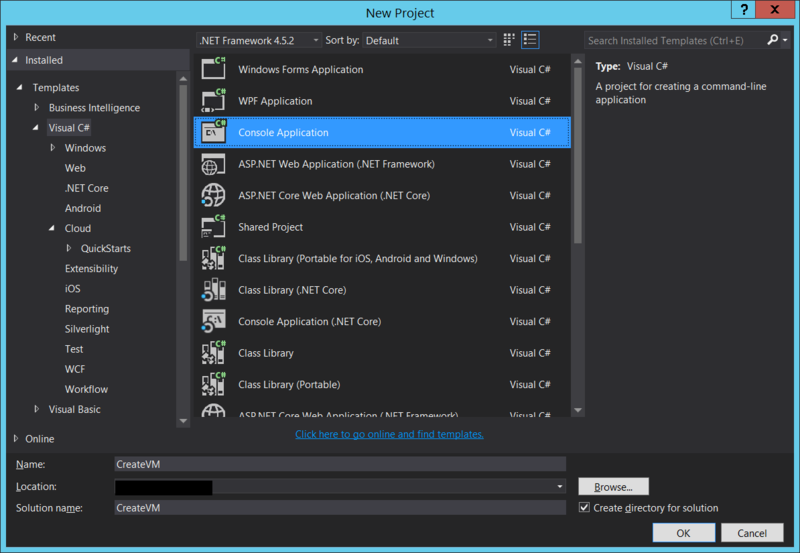 This means that if we are able to control resources in Azure from C#, then we can use Custom .NET Activities together with ADF automation to deploy virtually any resource and execute any workload in Azure on demand. In my next article we will do exactly this: we will create a HDInsight cluster with RServer installed on it and we will perform some R script workload, after which we will delete the HDInsight cluster.